Creating a bucket list is an “exercise in forward thinking” according to the movie Bucket List with Morgan Freeman and Jack Nicholson (see the clip here). It’s an exercise everyone should try if only because it allows us to think big fantastical thoughts. Plus, according to the experts in this NY Times article, planning vacations makes us happier than actually going on those vacations so even if you never accomplish the things on your bucket list, you’ll get a happiness boost. If you have a few minutes, watch this great TED clip of Candy Chang and her fascinating experiments talking to people about the things they want to do before they die. She has some really profound comments near the end of the clip about maintaining perspective and about how preparing for death is one of the most empowering things you can do. Regardless of what you put on your bucket list, remember to live every day to the max. We only get one shot at it! Want To Get Organized? Easy Hints Here! An interview with International author and national speaker, Liz Davenport, founder of Order from Chaos and Organizationology. 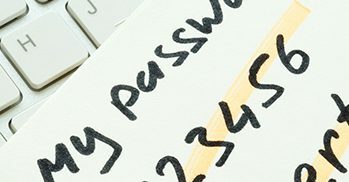 How can we make sure the right people have access to our passwords when they need them?